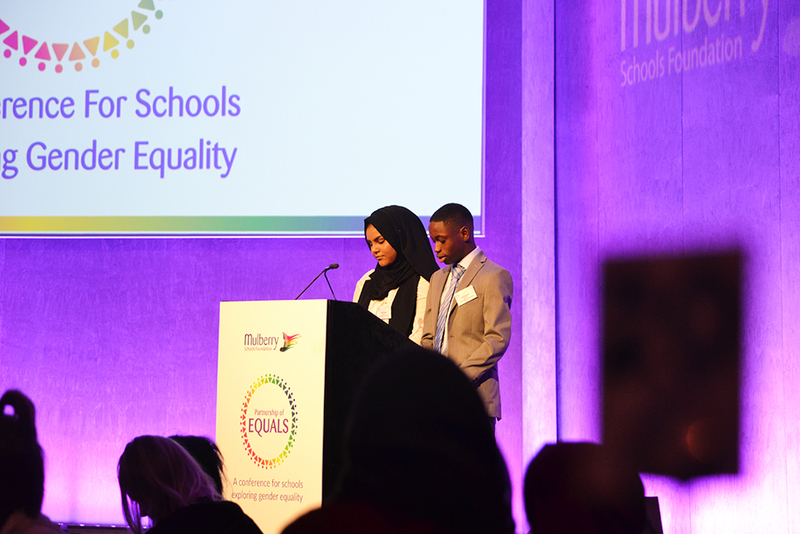 On Friday 12th October, Mulberry Academy Shoreditch took 45 students from across Year 10 and Year 12 to the Partnership of Equals conference. 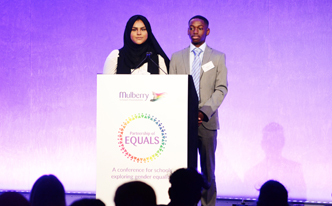 The conference is a Mulberry Schools Foundation project and was designed in collaboration with students from across the Mulberry Schools Trust. 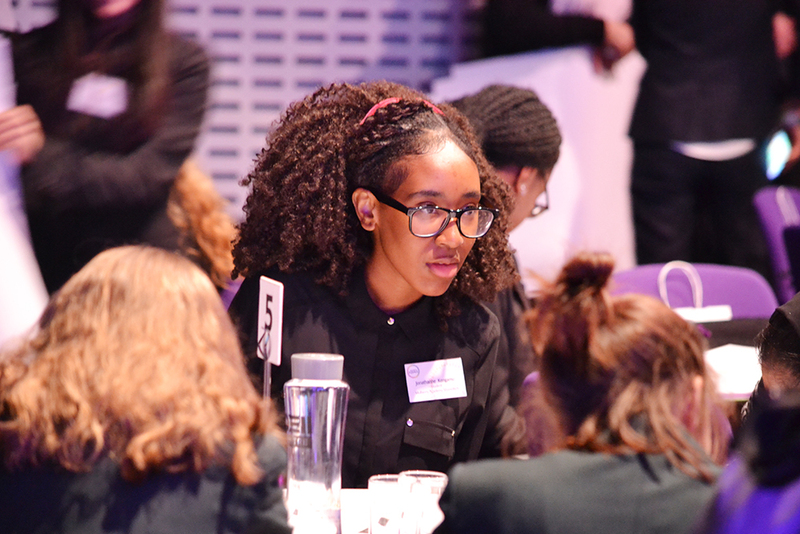 Over 300 young people were brought together from across the country for the day to imagine what a gender equal society might look like. 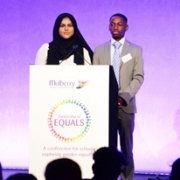 Having been selected and trained in issues surrounding gender equality and sexism through in-school workshops, Mulberry Academy Shoreditch students were ready to fully participate in discussions with students from other schools during the day. The day was fantastic, involving conversations, performances and speeches from leading professionals in the creative world: theatre directors, actors, artists, poets and more. 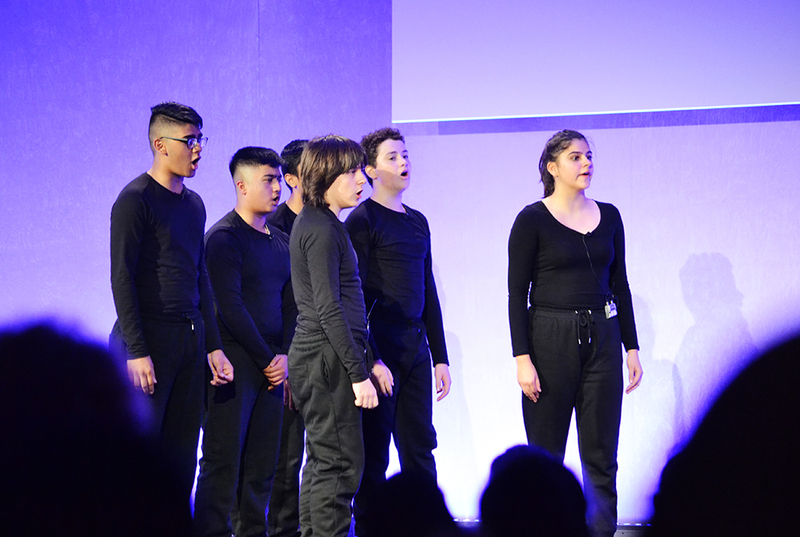 At the end of the day, the academy’s GCSE drama group performed a piece they have been rehearsing for weeks, which explored the presentation of gender in Shakespeare’s sonnets. The brilliance of the young people involved and the calibre of the professionals who took to the stage, ensured the aims of the conference were fully achieved: to raise awareness of gender equality; to explore how the arts can find creative solutions to inequality; to empower young people to become leaders, advocating for a more equal world. It was fantastic to see our students stand out, responding with such emotional intelligence to the challenging questions and issues raised. 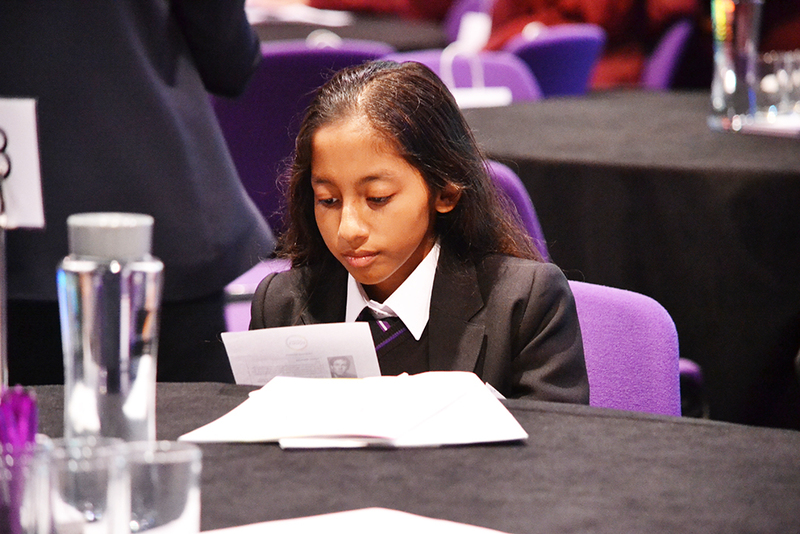 We hope students involved will become our very own advocates for gender equality within the academy, working together to help us evaluate and improve our whole school policy on sexism. Highlights included the glow sticks at the end, which students waved in homage to Aretha Franklin’s legacy! For further information about the Partnership of Equals conference and to access a range of resources and videos, please visit www.partnershipofequals.org.